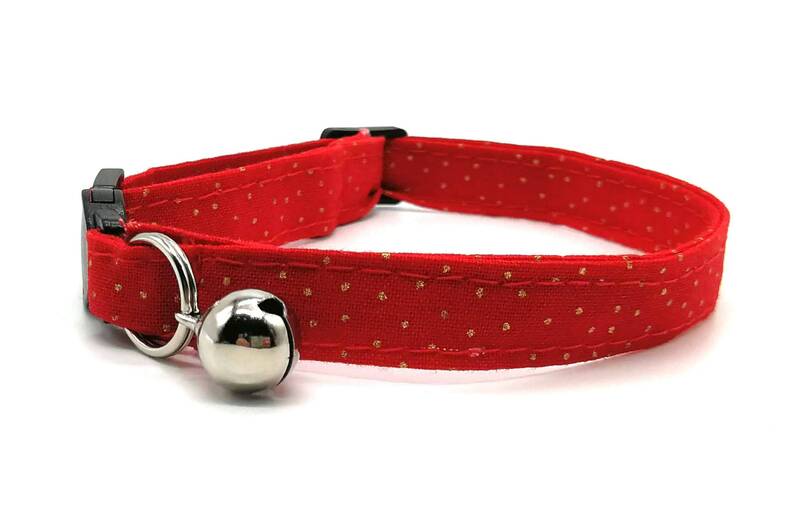 All collars are made with cotton or cotton/poly mix which are lighter for the cat to wear and less likely to irritate the skin like nylon or leather collars. Breakaway collar. 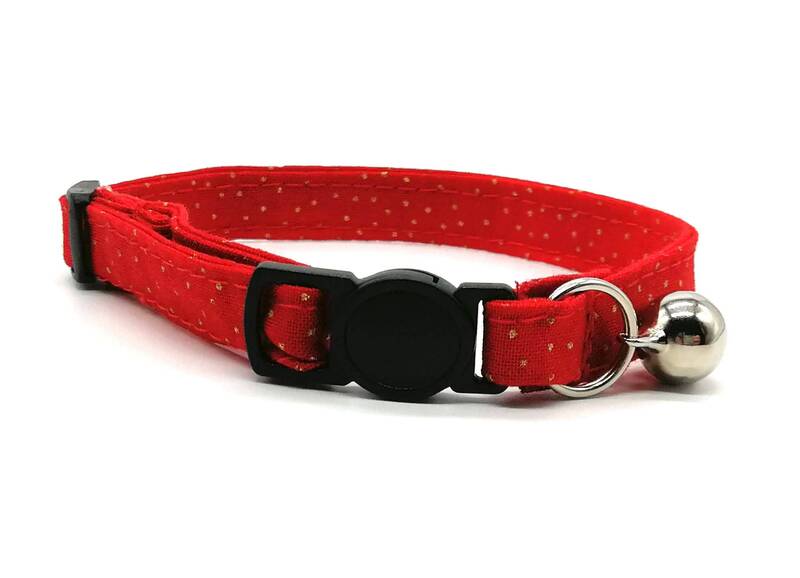 Breakaway clasps are designed especially for cat collars,in order that they break open if your cat should get stuck and are not designed to be used with leashes.